Jessica Chinyelu's wig flew off in now viral engagement photos. 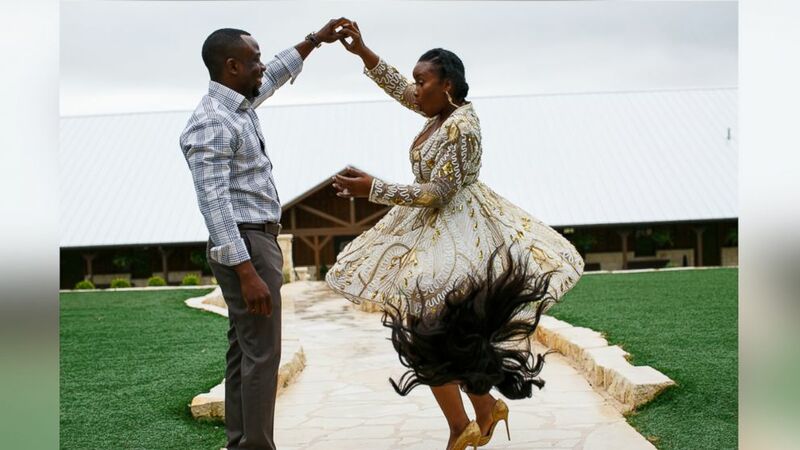 camera (Raheem of RH Photoarts ) These engagement photos of Jessica Chinyelu Ezeanya and her fiance Hilary Anibowei, of Dallas, Texas, have gone viral on social media. Jessica Chinyelu Ezeanya said she went "all out" to score the perfect engagement photos. Still, even she couldn't predict the hilariously hair-raising results. The founder of a non-profit organization called Woman of Purpose told ABC News she had five outfit changes, including "multiple looks for my hair," thanks to wigs, on the day of her engagement photo shoot with fiancé Hilary Anibowei. "At the end of the day, in the very last outfit that we took pictures in, my photographer was like, 'Okay, I want you guys to just let loose,'" Ezeanya, 28, recalled. And that's when "all of a sudden" her wig flew off. 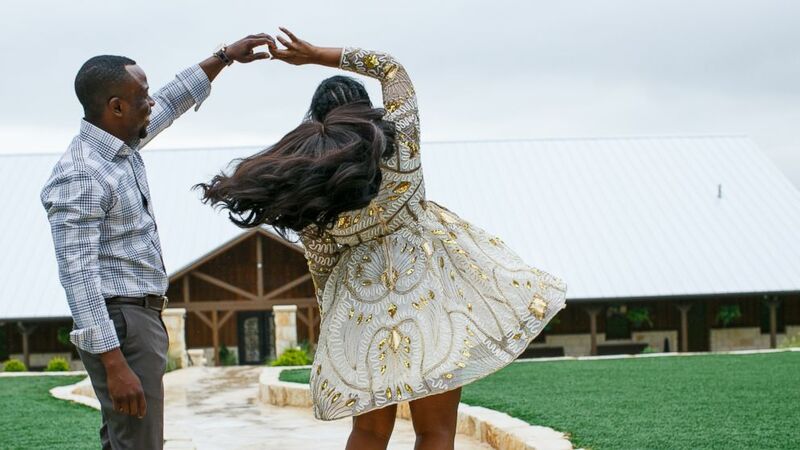 (Raheem of RH Photoarts ) These engagement photos of Jessica Chinyelu Ezeanya and her fiance Hilary Anibowei, of Dallas, Texas, have gone viral on social media. "We cracked up laughing," the bride-to-be said. "That was the highlight of the day. After that photo, the photographer really didn't want to take any more shots." Ezeanya said her fiancé didn't mind one bit. "He laughed," she said. "He's used to it. He's so sweet. He doesn't care about my wigs." Ezeanya, who lives in Dallas, Texas, said her professional engagement photos were very important to the couple because they'll be featured heavily at their "modern luxurious" wedding on December 3 in their home state. "We are going to have a lot of our pictures showcased on our acrylic dance floor in black and white," she revealed, adding that they'll also be in the centerpieces at the wedding reception. Ezeanya and Anibowei, 36, were engaged last September after dating for more than five years. The future bride said she's looking forward to starting a life with her soon-to-be husband. "I look forward to us really, really growing together and becoming one," she gushed. "I see us [having] more laughs together, but growing together as one and starting something together to really give back."